If you’re moving to Totteridge and need some help with your move give us a call on 020 8746 4402. We offer spectacular removal services and can help with any relocation to N20. Our services can cover anything from small flat moves to large house removals and can include as many or as few extras as you need. So, if you’re organising a move and want to make sure that it all goes to plan, make sure you book one of our removal packages. Moving Service are the number one firm in the local area and are guaranteed to offer you an outstanding level of service! 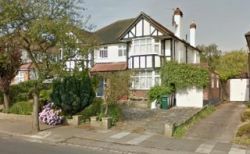 Is There Much To See In Totteridge? Totteridge is located in the London Borough of Barnet and is 8.2 miles north of the central Charing Cross area. With large green spaces, it is a picturesque area that is on the outskirts of the city. Historic village buildings are joined by expensive detached houses making it a characterful area that is popular with celebrities. Famous residents have included David Ginola, Cliff Richard and Arsene Wenger amongst others. The nearby areas of Barnet and Finchley provide a wide range of shops and restaurants, while there is plenty of countryside to explore right on your doorstep. If you want to head into the city then there is also a tube station providing links to the Northern line. Is This The Best Service In Town? Our award-winning services are second to none and are the best choice for removals to N20 region. With an extensive fleet of vehicles and a trained team of moving professionals, we can offer a better level of service than any other firm in London. For more information fill in our online enquiry form or dial 020 8746 4402. Our customer services team can offer you expert advice on all of our packages before finding you the best deal around. We offer the most flexible house moving services in the area along with a money back guarantee. We believe that you will be 100% satisfied with our service, so call today and get your no obligations quote! How Do We Train Our Team? All of our movers have passed our advanced training programme and are experts at managing all aspects of a move. Whether it’s packing boxes, loading the van or safely driving the removal vehicle, there is nothing that our team can’t do. With specialist training, our movers can even move heavy, awkward or expensive items with care and attention. Unlike some other firms, we at Moving Service guarantee to keep your items safe at every point of your move. So, if you want to make sure that you’ve hired a professional and reliable removal company, all you need to do is give us a call! We guarantee that we can save you money when you book one of our house moving services. With low-cost van hire and man and van options, you can tailor your service until you get exactly what you need. Our incredible offers and reduced prices make booking an easy option, with no hidden costs or unwanted surcharges. We can even promise that you’ll get a spectacular service at a fraction of the cost charged by any other removal company in Totteridge, N20. If you don’t want to miss out on one of our unbelievable deals, get in touch with us on 020 8746 4402 today. We can have your relocation booked in super-quick, with no long forms or questionnaires to fill in!